Walking around the city, one often encounters architectural anomalies: a glassy, undulating Gehry, say, or an alley of colorful Greek Revivals. But there are certain outliers that are so jarring, looking as if they’ve been plopped down from outer space or transported from rural Nebraska, they make you stop and wonder how they got there in the first place. 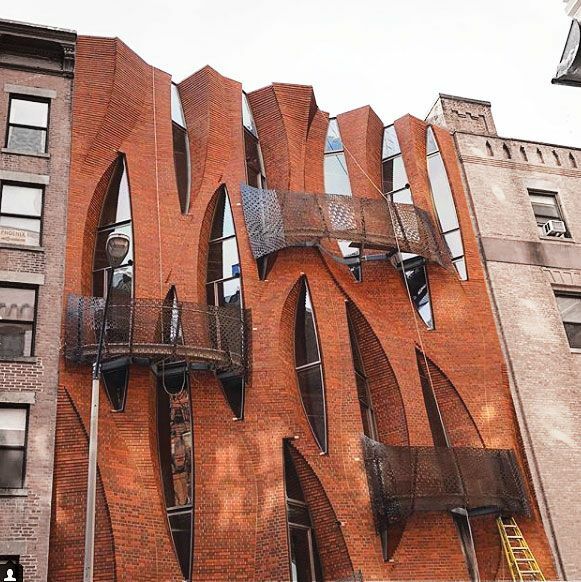 In some cases, it’s because the owners refused to sell a centuries-old building to developers; in others, it’s because they spent years finagling a wacky façade past the Landmarks Preservation Commission — just a few months ago, in fact, a subdued Tribeca townhouse debuted a twisty, flamelike new exterior. 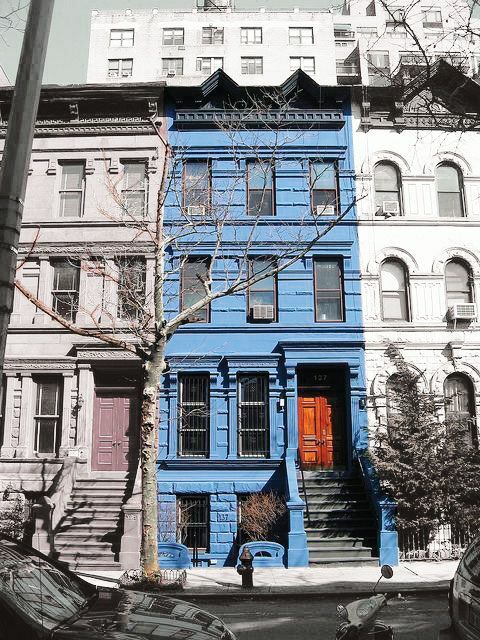 Sometimes, though, it’s more simple: The owners just decided they wanted to paint their Upper West Side brownstone a startling azure. 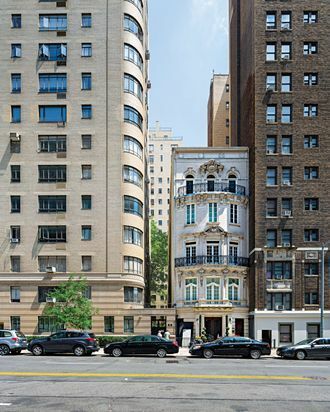 Built in 1900, this Beaux-Arts-style mansion was nearly made into office space in the ’90s. Neighbors stepped in to save it; the building was last on the market for $50 million. 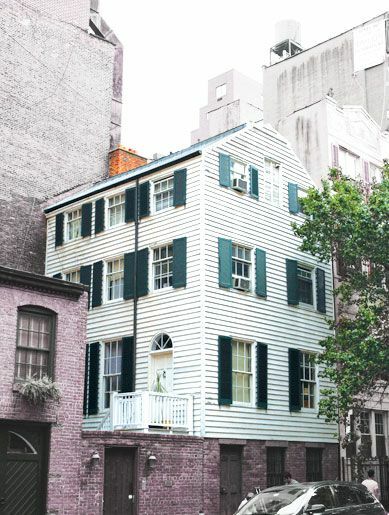 This 12 ½-foot-wide boardinghouse was built in 1865. By 1915, the block was almost completely commercial, but No. 19 survived. Now two women rent the top floor. 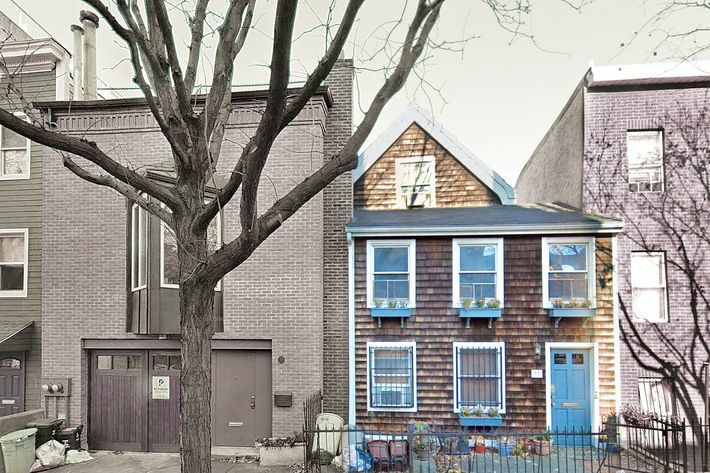 An 1880s-era Flemish-inspired carriage house — a former occupant is Winston Churchill’s great-grandson — is nestled up to a 22-unit apartment building. “There’s a high chance of possible damage from neighboring construction. Digging deeper foundations for taller construction can undermine the foundation walls of the smaller home — and there’s always the risk of big, heavy things falling onto roofs that are suddenly 60 feet lower than their neighbors. 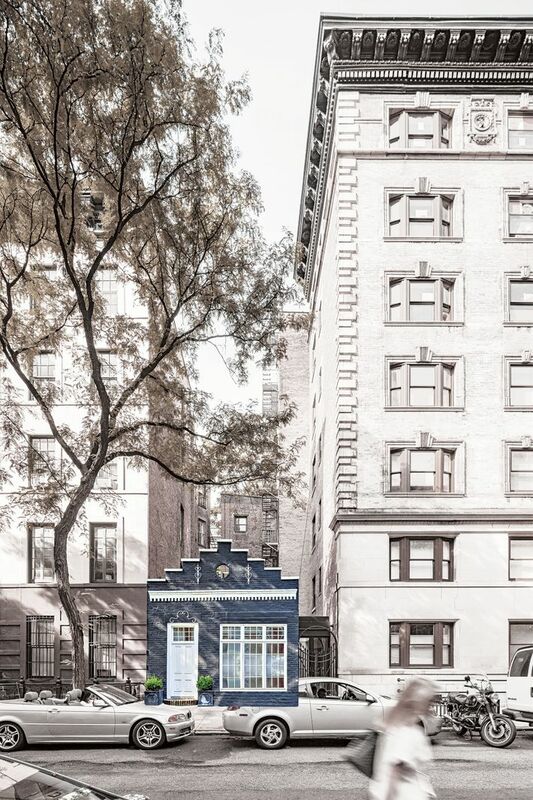 And, of course, if a big building pops up next door, you might end up losing some light.” —Simeon Bankoff, executive director of the Historic Districts Council, the citywide advocate for New York’s historic neighborhoods. 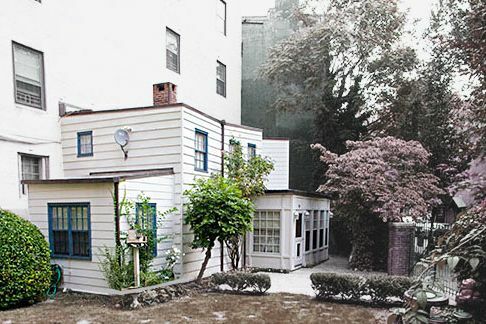 In 1967, this farmhouse — believed to have been the studio of Goodnight Moon writer Margaret Wise Brown — was transplanted from the UES to a backyard in the Village. A 1901 shingled single-family home built in the neo-Tudor style — made clear by its peaked roof, single roof window, and clapboard siding. The first floor of this wooden four-story house — which was likely built in the late 1700s or early 1800s — is brick, giving the impression that the rest is floating. How Do You Take Care of a Wooden House? From its brick-and-glass façade to its wooden front door, this 1948 Philip Johnson house (commissioned by John D. Rockefeller III’s wife) hasn’t changed much. 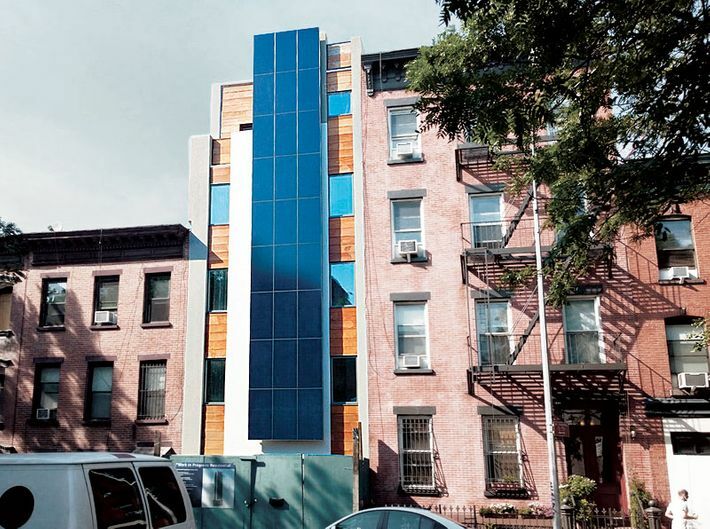 Jeffrey McMahon created this façade with solar panels, Passive House windows, and Hurricane Sandy–reclaimed wood. 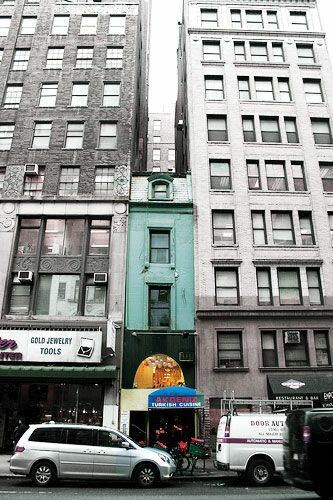 How Strict Is the Landmarks Preservation Commission When It Comes to Kooky Façades? This Queen Anne–style rowhouse was likely brightened up prior to the formation of the Central Park West Historic District, which frowns upon painted brick. 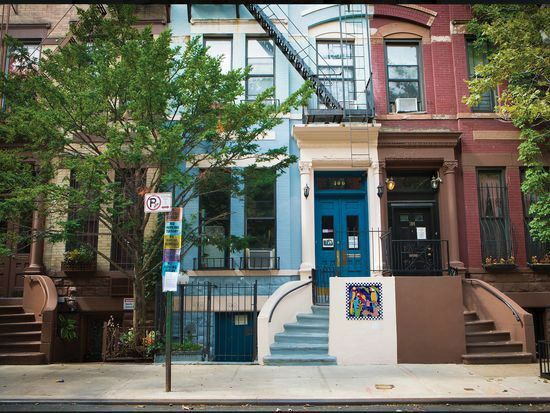 A quarter-century ago, a state agency painted several brownstones on East 101st Street between Park and Lex, where a handful of bright buildings still remain. 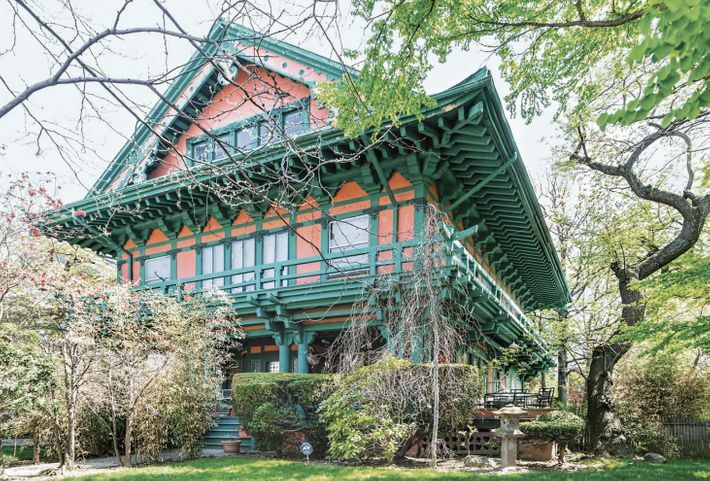 There was a long-standing belief that this 1903 Japanese house was built by the foreign consulate. It was not. It was actually designed by Petit & Green, the same firm that imagined Coney Island’s Dreamland. The architects worked with Japanese advisers to ensure stylistic authenticity. 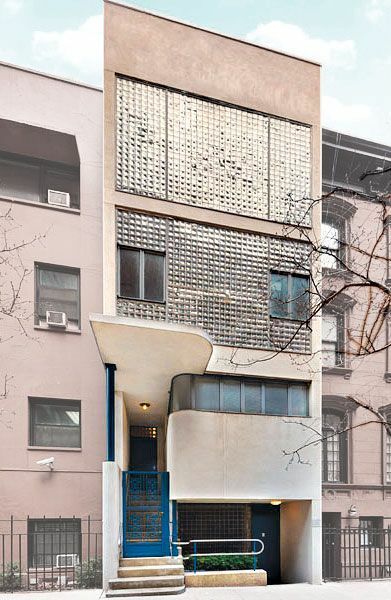 This stucco-and-glass house — on an otherwise unassuming stretch of 48th Street — was designed by Swiss architect William Lescaze in 1934, when the street consisted exclusively of pre–Civil War houses. 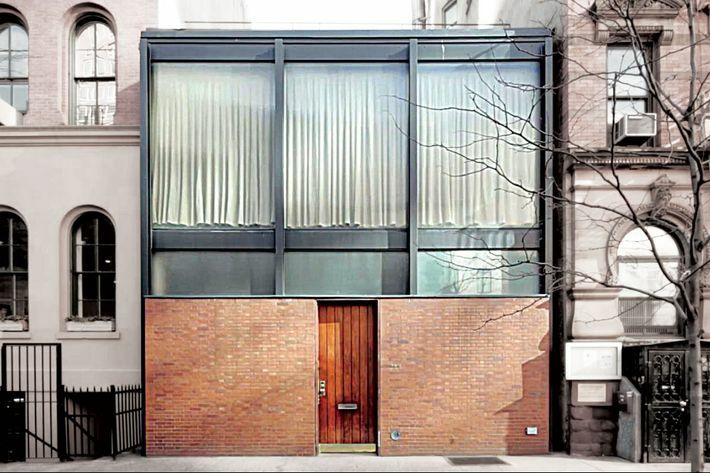 It was landmarked in 1976 and is considered the first modernist home in New York City. The building was also the first residence in New York to have central air-conditioning. Updates in recent years have included a glass-enclosed hydraulic elevator, a Boffi kitchen, new structural steel inside and out, and a north-facing courtyard with solid-glass-block skylights. It’s going for $4.95 million. This article has been updated to clarify that Jeffrey McMahon designed the eco-friendly condo at 443 Bergen St.